Petrobras Renounces 2nd Circ. ‘Preference’ For Class Cert. Earlier this month, the Second Circuit decided In re Petrobras Securities, and class action practitioners have been talking about it ever since — chiefly for its relevance to the red-hot “ascertainability” debate. Because Petrobras purported to reject a “heightened” ascertainability requirement, many have deemed it a setback for class action defendants. By contrast, I have written that the ultimate impact of Petrobras’ comments on ascertainability remains unclear. But the hubbub over ascertainability has obscured another remarkable part of the Petrobras decision — one that constitutes a major victory for the defense side. Specifically, the Second Circuit finally rejected the decades-old canard that the grant of a class certification motion is generally preferred over the denial of such a motion. This largely overlooked aspect of Petrobras may eventually have a greater impact on class action practice in the Second Circuit than the headline discussion about ascertainability. 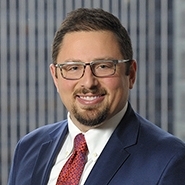 To continue reading Jonah Knobler's article from Law360, please click here.